What is the first thing you notice about someone when you meet them for the first time? Their eyes? Lips? Nose? It’s their face. Most people, if not all want to put their best foot forward when it comes to first impressions. This starts with proper self-care and self-love. Taking care of your skin is one of the most important things you can do, it’s is the biggest organ you have — take care of it! Your skin is continuously attacked by toxins, polluted air, debris, radiation from the sun and many other harmful things on the daily. Enough is enough. Your skin needs you to care, and it requires you to nurture it! That’s why we’re here to tell you about some great essential oils you can use to help tone your skin and help reduce signs of aging. We have all said it to ourselves a time or two, “I wish I could get rid of my wrinkles,” “ I want my face to look like this or that!” It’s time to stop praying to the skin Gods for help. There are lots of useful essential oil blends that prevent signs of aging and tone your skin! Skin health is vital. As said previously, your skin is your biggest organ, it protects everything inside of your body from the hazards of the outside. When your skin is dry, breaking out, rough, bumpy and even itchy, it’s basically screaming HELP ME! These are all signs of trouble in paradise. Finding time to unwind and take care of yourself is the absolute key to living a healthy lifestyle. 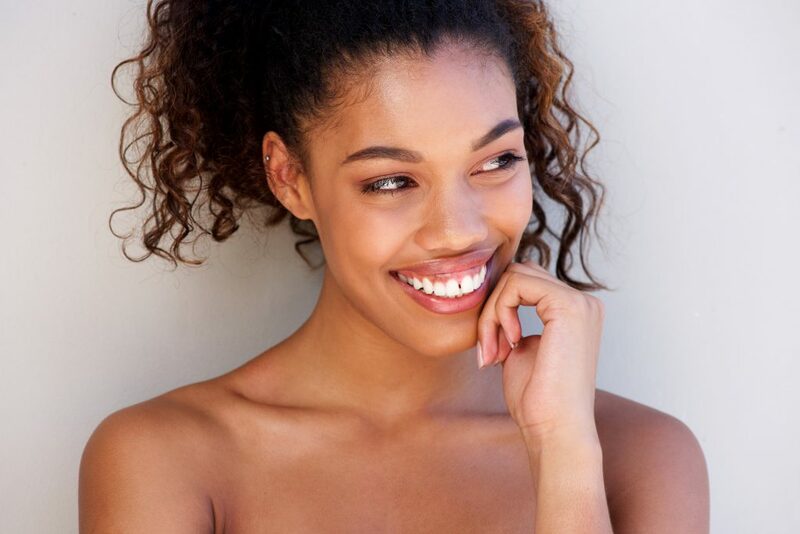 Let’s dive right into the first Skin Care 101 lessons on Toning and Anti-Aging. The oils we’re discussing today are birch, cilantro, clementine, douglas fir, fennel, myrrh, rose, and white fir. 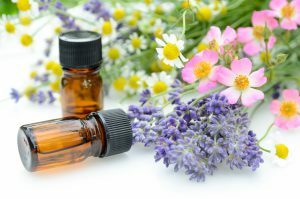 There are several essential oils out there that offer multiple benefits, and we want to share one of our favorites for skincare. Rose essential oil not only smells luxurious, but it is also moisturizing for your skin! With the many benefits this essential oil has to offer, you’ll be racing to grab yourself a bottle in no time. Let’s start with parched skin. Do you sometimes have patchy skin that you can’t stop scratching? That’s what dry weather and wool sweaters will do to you. Rose essential oil not only hydrates dry and dull skin, but it actually helps to lock in moisture to keep you feeling soft as a rose! If you live in arid, cold regions and can’t seem to retain any moisture, rose essential oil WILL be your saving grace. Let’s touch on acne, the cosmic thorn (hey-o!) in our side. Acne of any form whether it is on your face, shoulders, back or chest is one of the most obnoxious skin conditions, ever. Is that too dramatic? Rose essential oil offers antiseptic and astringent properties that may help acne-prone skin. Mix a few drops of rose essential oil into your daily moisturizer or evenly apply it on areas where acne is present. The healing properties in rose essential oil will help reduce redness and inflammation. The antibacterial properties will also help to diminish bacteria on the skin. For added benefits, take a few deep breaths of the rose essential oil for aromatherapy to help you feel relaxed, loved and uplifted. We have landed at the mothership for toning and tightening your skin. Birch has been known to be one of the best essential oils to tighten your skin. If you know a thing or two about skincare, then you’ve probably heard the magic words, salicylic acid. Birch essential oil is packed with this powerful active ingredient. In small doses, you can directly apply birch essential oil to areas on your skin that need some help with toning and tightening. Birch essential oil is commonly used to reduce the appearance of fine lines and wrinkles. You know – those fine lines the creep in around your eyes, mouth, forehead, and neck? Yeah, we all have them! Don’t you worry, we have you covered. Add a few drops of birch essential oil to your hands, warm it up a bit and press the oil into the areas where you need the most help. If you have sensitive skin, we recommend you use a moisturizer or carrier oil to mix in with the birch essential oil. Over time, you’ll be able to see clear signs of your skin tightening. Thus it makes you look younger and may help you get back into a more youthful lifestyle, even when you are well into your forties or fifties. Skincare is not just for the young people of the world. Cilantro essential oil has a delightful scent that refreshes and purifies the air. When applied to your skin, cilantro essential oil has a cooling effect that soothes irritated and distressed skin to reveal a softer and more toned complexion. This oil is rich in vitamin C, which is excellent for all aspects of your skin! Vitamin C enhances the glow in your skin, boosts collagen production and is packed with powerful antioxidants. Not only does clementine essential oil smell amazing, the benefits almost outweigh the delightful aroma! One antioxidant that clementine essential oil has is folic acid. This acid is famously known to promote the firmness of skin and is a great anti-inflammatory. This essential oil has a fresh deep scent that promotes positivity, uplifts your spirits and has incredible healing and purifying properties. Apply a few drops of this essential oil into your moisturizer and press gently into your skin. Your skin will feel toned, refreshed and ready for the day ahead. Do you suffer from bags under your eyes due to stress at work or not enough rest? We all could use a little pick me up around the eye area. Fennel essential oil has been known to be one of the best most useful oils when it comes to depuffing and reducing the appearance of aging around the eye area. Before applying fennel essential oil around your eyes, make sure to dilute it with a carrier oil. A great tip for de-puffing around your eyes is to mix coconut oil with a few drops of fennel oil into cotton pads and put them in the fridge for a few hours to cool. Cut the cotton pad in half and apply the halves onto your under eyes. This is a great way to refresh your skin from the night before and put your best foot forward! This is a great DIY for a girls spa night too. Myrrh is a luxurious essential oil that eliminates the signs of aging, moisturizes your skin, and rejuvenates your skin. This oil is an excellent addition to a relaxing bath. Add a few drops of fennel essential oil to create a sweet aroma and soak in the health benefits of this delightful oil. You can also mix fennel essential oil with frankincense to create your own nourishing lotion to help tone your skin and prevent signs of aging. Toning pores is one great way to prevent breakouts and signs of aging. After cleansing your skin, apply an astringent directly to your skin to reduce the size of your pores, so dirt doesn’t get trapped — so gross! Astringent causes skin tissue to contract – to counter lines and wrinkles, which reduces pore size. Add a few drops of white fir essential oil to a warm washcloth and press gently into skin. Remember, the toning properties of white fir essential oil may significantly benefit your skin! That’s it for our post on Toning and Anti-Aging. Check back soon for the second half of our essential skincare course, we’ll be covering essential oil remedies for acne and natural antiseptics. We hope you took away a few new skincare tips and tricks. Remember to take care of your skin from head to toe!